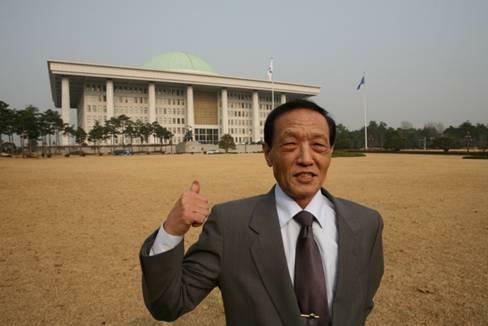 The death has been announced of Hyung-Sik Choi who lost his battle against the asbestos cancer mesothelioma in Korea earlier this week (March 3, 2014). Since his disease was diagnosed in 2008, Mr. Choi had played an active role in the campaign for asbestos justice and worked with other victims to lobby for improvements in government support and medical care. 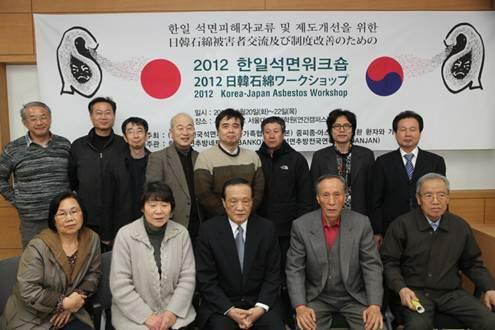 He served as the co-chair of the Ban Asbestos Network of Korea (BANKO) and was a member of the Korean asbestos victims' support group. 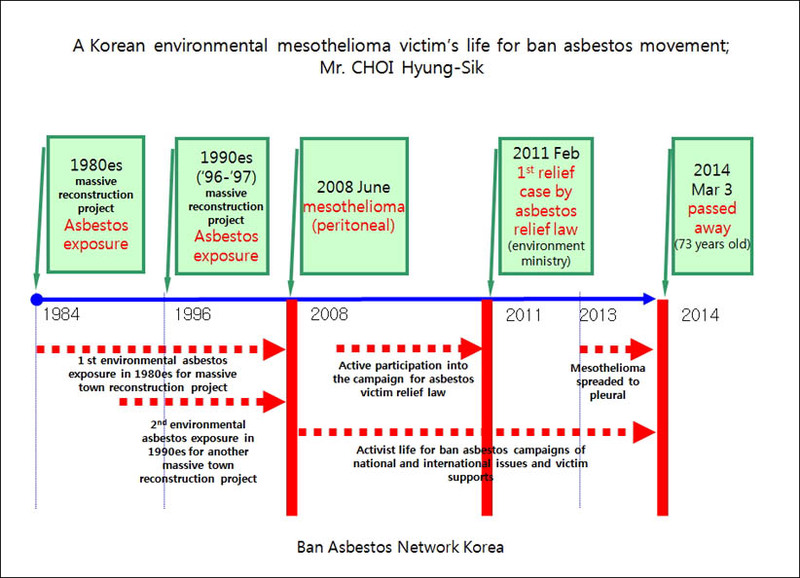 It is believed that the hazardous environmental exposures to asbestos which led to Mr. Choi's death took place during urban reconstruction projects carried out during the 1980s. 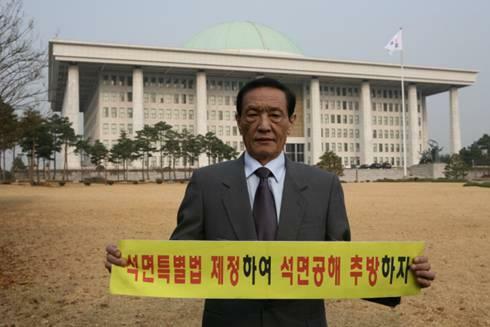 Mr. Choi led a signature campaign for a Korean asbestos relief law in 2008; in 2011 the victims' demands resulted in legislation to compensate the injured. Hyung-Sik Choi handing over the signature papers for the asbestos relief law campaign to MP Choo who was the chair of the relevant Parliamentary Committee, December 2009. He made time during the 5 years and 9 months after he had been diagnosed, to collaborate with Korean victims, engage in strategy discussions and travel to Japan to meet with colleagues.